The heart of the home: Your kitchen. It’s where meals are created and memories are made. Studies have shown that homeowners value their kitchen as the most important part of their purchasing process. Similarly, if you own a small business, you may be looking into the options available for designing your office kitchen. Something that will be effective for your breaks and lunches but more importantly, something that will last. 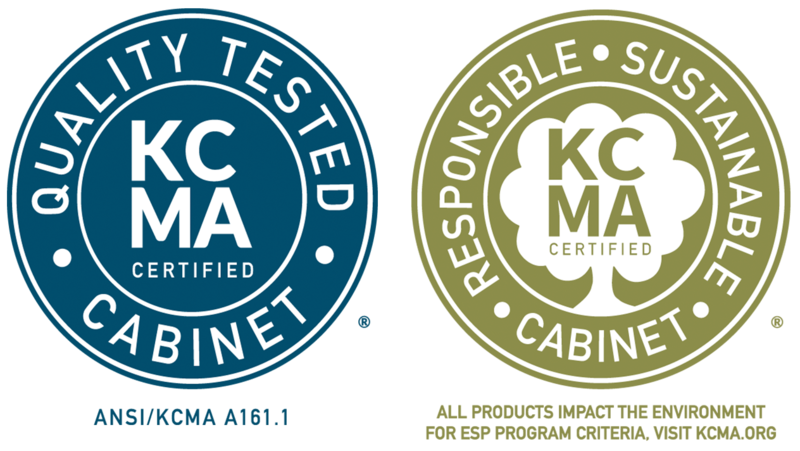 Certified cabinetry gives you the confidence you need when selecting options for your new home, business or remodeling project. Look for these seals to know that you are picking cabinets made through high-quality construction methods. How can KCMA help you? How can I tell who made my cabinets?